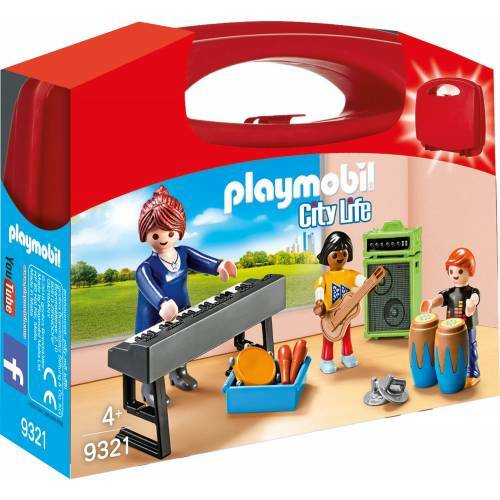 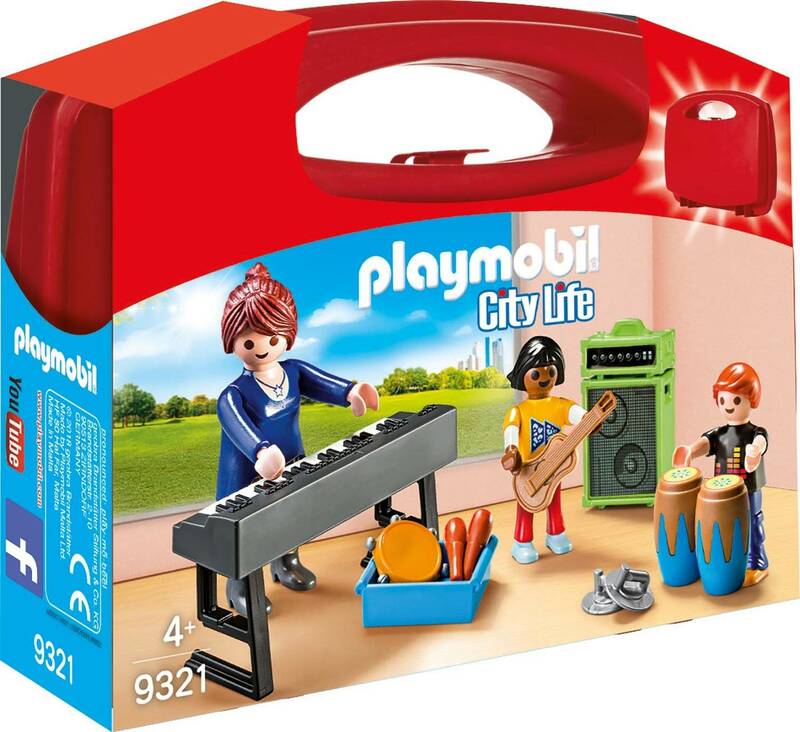 Take the fun of music with you everywhere you go with the Playmobil 9321 City Life Music Class Carry Case. 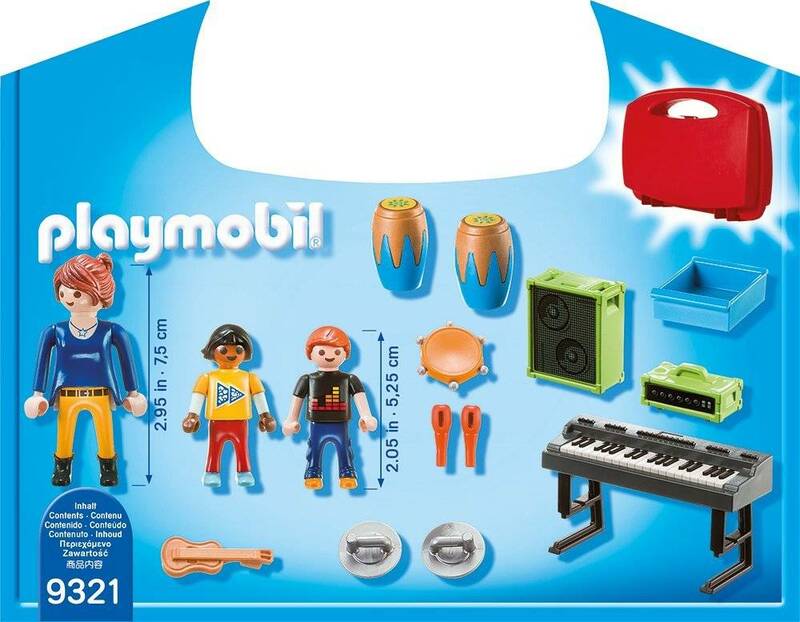 The handy storage case contains many different instruments such as keyboards, a guitar and drums. 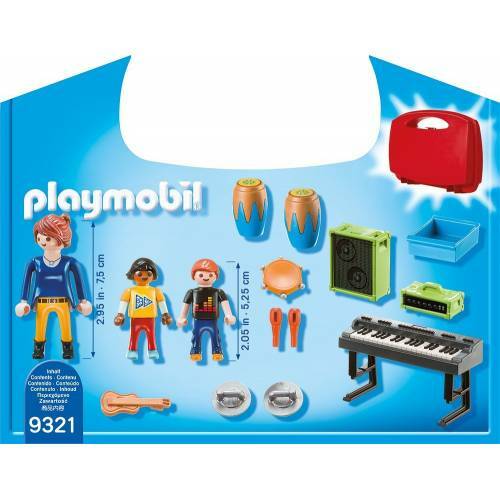 Perfect for on-the-go fun, this carry case can fit all the included pieces for easy transportation.